Our NGO was founded by Lt General ( Retired) "jimmy"Singh. Who has intimate knowledge of the Eastern Himalayas. 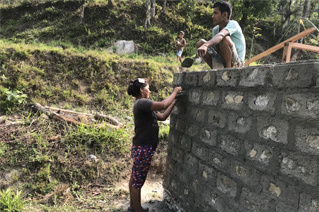 The Awake and Shine trust supports project Awake and shine, which is working to transform rural education in the remote mountain area of Kalimpong District. Our mission is to change the image of rural schools by providing quality holistic education, in tandem with income generation through village tourism. Our school at Samthar is empowering 140 deprived village children. Tourists guests are helping to support the school by providing scholarships. Over 10 years the school has evolved methodology for teaching English to children from non- English speaking community, introduced experiential learning, and personality building in our syllabus. Some of our innovations include Confidence course, Nature walk, inquisitive hiking, camping skills, "Seed to table “ gardening project, paddy sowing and harvesting, mud oven baking, star gazing, cloud watching, learning direction finding semaphore, and Knots and lashes. Our second school at Chota Suruk village is being developed from year 2018 to 2024 to replicate the Samthar model, will start functioning in Feb 2019, with the nursery class. To enhance earnings for children's parents; we have helped create 4 quality village homestays, trained cooks, housekeepers and guides, and set up hiking circuits. The sponsorship scheme is the life blood of our Schools. It is a chance to provide a life changing opportunity to a deprived child. We do not only provide education but build personality through a host of innovative experiential activities. The funds provided for this donation take care of the entire education for one child for one year. Boys and girls are treated alike and wear similar uniforms. 46 % of our students are girls. Donations cater for teachers salary, books and stationary, learning aids, sports equipment, experiential learning trips, computer education, maintenance of class rooms and toilets, water harvesting, filtration units, annual school functions, and unforeseen expenses to operate the schools. Donors will be provided with bio-data of sponsored child and a bi-annual progress report. All our donors are committed to an annual donation for the duration of the primary course of 7 years @ INR 12000/- (USD 200) per year. 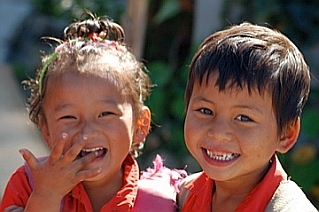 Many donors continue sponsoring the child for the post-primary stage. Are you ready to provide a life changing opportunity to a deprived child ? For more details contact General Jimmy Singh: awakeandshine@outlook.com. 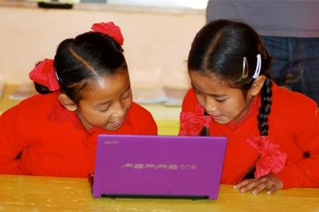 Realizing that computer- based applications will dominate future life, the computer literacy teaching methodology adopted by the school, allows children to handle computers independently from Day 1. The syllabus comprises a total of 268 periods of hands on practice, spread over 4 years. By the time the children finish class 4, they are able to use Paint, are expected to type, use word for simple drafting, insert images, send E-mails, and search the internet. Net books have been provided for Class 1, 2, 3, and 4, For optimum practice, However the school does not have sufficient net books for all children in a class. Classes are split into two parts, to enable half the children to work on the computers. Donors are requested to donate net books which cost Rs 20,000 per piece. Used net books in working condition will be gratefully accepted. 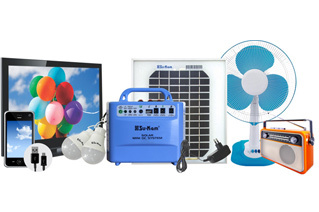 Cost: Rs 20,000 per unit. Our school at Samthar village has proven its credentials to provide quality education. We are now ready to meet the demand of the community for more schools to replicate the Samthar model, and have chosen the hamlet of Chota Suruk to develop our second Awake & Shine school. Chota Suruk lies isolated and remote, atop a forested ridge. Children from Chota Suruk and surrounding hamlets have to walk for more than 2-3 hours, each way through difficult terrain to reach a primary school. The community has donated land for the purpose. We have already built the Nursery class room with allied toilets, staff room, resource store room and equipped it with a full range of learning toys and kits. All work has been done by local artisans, and labour. Nursery class will start in Feb 2019. The remaining infrastructure for the school will be built in 6 years from 2018-2024, by building one class room with allied facilities, every year. The cost for buildings and operating the school is INR 8,00,000 per year for the initial 6 years. We need funds to progress this project. For construction at Chota Suruk, we have based our cost on completed construction of our nursery class room ( 35 x 20 ft) with 5 toilet seats (20 x 8 ft), staff room and resource store(20 ft x plus 8 ft) plus furniture and learning kits. The cost works out to Rs 550 per sq ft. Donation unit is Rs 2750. The awake & shine School at Samthar has evolved innovative teaching methodology for teaching English to deprived children from non- English speaking community. Learning through stories is one component of our English literacy program. 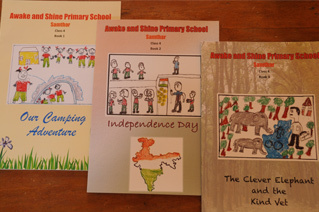 The school has embarked on a unique mission of creating our own storybooks which are drafted by the teachers and illustrated by the children. The focus is on original thinking informing children about local culture, events, customs, geography, plants, birds, and so on, whilst improving vocabulary and reading. This is work in progress and so far four titles have been printed and brought into use. Each title costs INR 15,000 to print. Your donation will help us to collect funds to print 2 titles per year at the cost of INR 30000 per year. Deprived children studying at our schools at Samthar and Chota Suruk come from poor homes, which do not have electricity. Others have erratic electricity and also find it expensive to provide dedicated lighting to enable the children to read story books and study at home. Our NGO proposes to provide small solar lighting set to 40 poor homes. The cost of each set is INR 6000. It consists of a solar panel, in built battery, charge controller, two light points, and mobile phone charging facility. 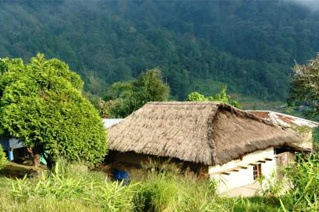 Our NGO is supporting village tourism based on homestays and a walking circuit. The idea is to generate income for parents of children enrolled in our schools, so that they can improve their lifestyles and progressively contribute for the education of their children. All homestays are planned in the form of a one room cottage ( 68 sq ft), with western style toile and bath ( 48 sq feet), located at the hosts premises. We will be allotting a fixed amount of Rs 1 Lac per cottage. Donate to enable deserving children to continue their education in boarding schools at Kalimpong and surroundings @ Rs 6000/- per unit. 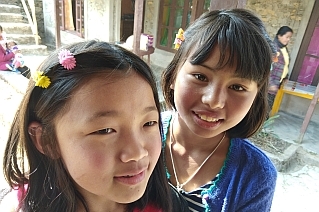 After finishing our 7 years primary school course, children have to get admission to boarding schools located at o Kalimpong and surrounding areas to continue their English medium education. The average cost od staying in a boarding school are Rs 40,000 to Rs 60,000 per year. A few of our sponsors have been kind enough to pay for education of deserving children. However many deserving children are unable to meet the expenses. We have started a Post Primary scholarship fund, to help 10 children per year. This fund covers general expenses not specific to a project/cause/need. This helps cover expenses vital to the running of the organisation. Expenses such as administrative expenses, various overheads are paid from the General Fund. We also maintain a General Fund to help us meet the donation gap created when donors donate only to a specific project/cause/need or any unexpected expense which may arise during the course of running the organisation. This fund is s considered to be the capital of the organisation. The Fund is generated and kept by us for the sustenance and existence of the organisation. The Corpus Fund is of paramount importance to the organisation as it helps us during the times of distress. Only the interest/dividend earned from it is accumulated or utilized for general purposes. It is required for the smooth sustenance of the organisation. We are currently trying to build a Corpus Fund of 12 months’ of expenditure of the organisation thereby ensuring a smooth sustenance. It will help reduce financial vulnerability and thereby help us achieve our goals.